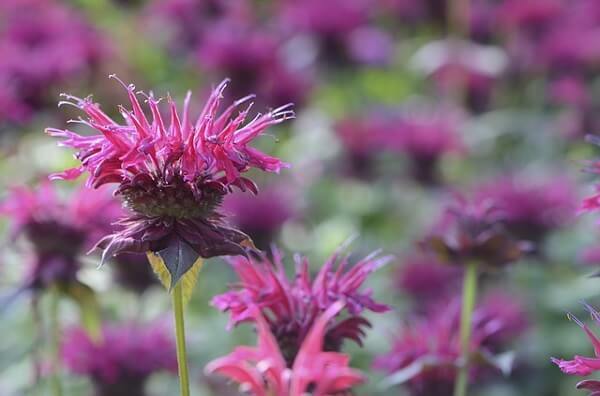 Bee balm, of the genus Monarda, can grow as tall as three feet and has low maintenance needs. Bee balm’s tubular flowers have varied colors. The wild variety has hues ranging from light purple, crimson, pink, lavender, and lilac. The crossbreeds and cultivars, which are diminutive compared to the wild bee balm, have colors of red, white, and deep blue. Bee balm attracts hummingbirds, butterflies, bees and other pollinating insects. Bee balm is a companion plant to small vegetables like tomatoes, assisting them with growth and flavor. 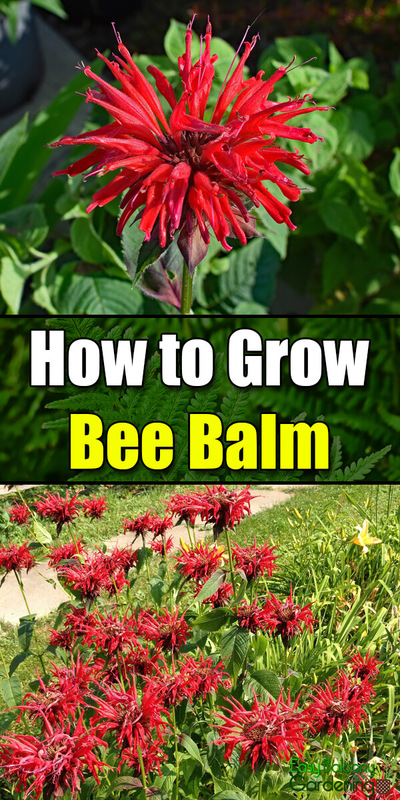 You can also plant bee balm with other crops that like bee pollination. Note, however, that bee balm does not like field mustard. Division is the most common method of propagation. Make the division in the early spring. This process helps with air circulation and the prevention of root rot. Bee balm can also be started from seeds without difficulty. However, the offspring may not be as the parent plant. Wait till late fall or early spring to sprinkle the seeds in the ground or in the pot. Bee balm can also be propagated through cuttings and layering. Purchase some rooting hormone from your local nursery and dip the lower end of the cutting in the solution. Put it in a pot with some moist potting mix. Protect the pot with a bag and situate it in indirect sunlight. It should germinate in approximately three weeks. The crushed leaves of all 16 species of bee balm give off a piquant, strong scent. Dried, the leaves may be utilized for aromatherapy. Made into a tea, the dried leaves of bee balm have been reported to help fever, headaches, nausea, insomnia, and menstrual discomforts. Bee balm is also used as a diuretic and as an antiseptic. Bee balm makes a good potpourri.